In the nineteenth century, Alexander Carmichael collected hundreds of prayers, blessings and poetry from the Highlands and Islands. 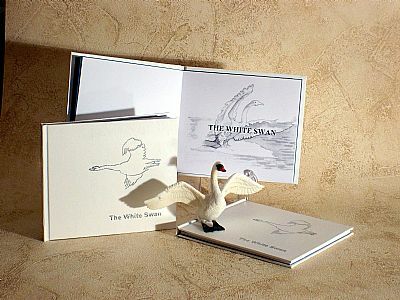 These two beautiful poems – The White Swan and Song of the Swan - are perfect examples. The text is letterpress printed, and the illustrations (by Frances Grant) are laser printed.